Indianapolis, Indiana (February 14, 2019) – Juncos Racing announced today Rasmus Lindh would join the team for the 2019 Indy Pro 2000 Presented by Cooper Tires Championship. Lindh is the first driver announced to the reigning 2018 Indy Pro 2000 (former Pro Mazda) champions line-up. 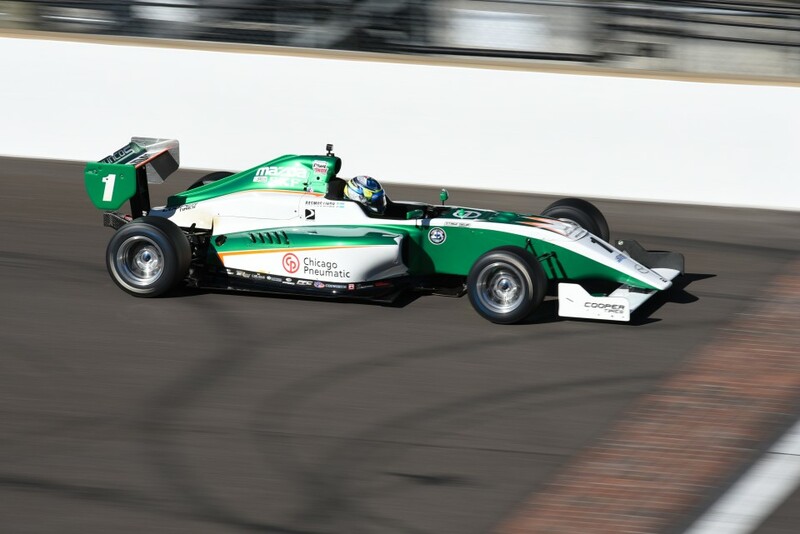 Rasmus Lindh (Gothenburg, Sweden) made his first appearance with Juncos Racing this past fall at the Chris Griffis Memorial test at the Indianapolis Motor Speedway. Lindh joins Juncos Racing after an impressive rookie season in the Cooper Tires USF2000 Championship where he earned five podiums and three poles. The young Swedish native would go on to claim second in the championship. 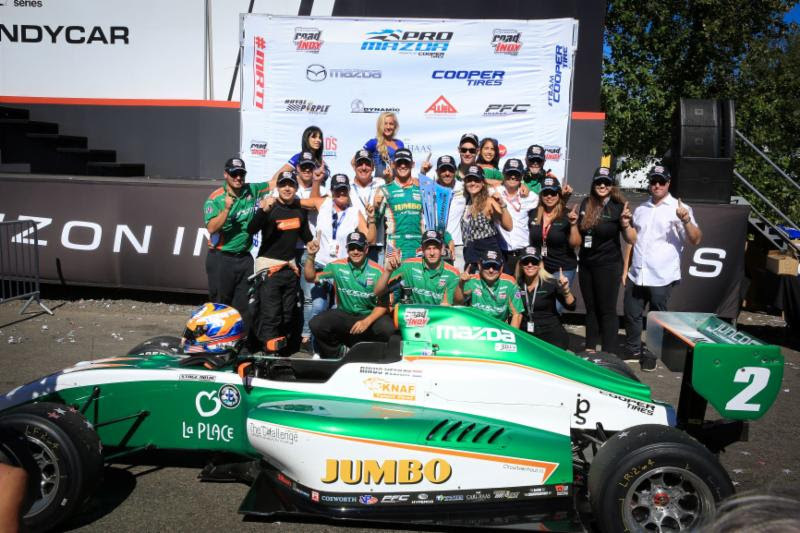 Juncos Racing is a championship-winning team currently fielding multiple cars in the Pro Mazda Championship, the Indy Lights Series, and the NTT IndyCar Series. In the fall of 2018 Juncos Racing announced their expansion to the IMSA WeatherTech SportsCar Championship and will field one Cadillac DPi-V.R entry in the 2019 season. 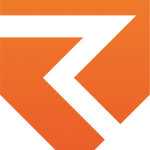 Most recently the team finished off the 2018 season winning the Indy Pro 2000 (former Pro Mazda” Driver and Team Championship with rookie driver Rinus VeeKay. The team also competed in 12 of the 19 Verizon IndyCar Series events with three drivers sharing the No. 32 entry including the 2017 Indy Lights Champion Kyle Kaiser, Rene Binder, and Alfonso Celis Jr. 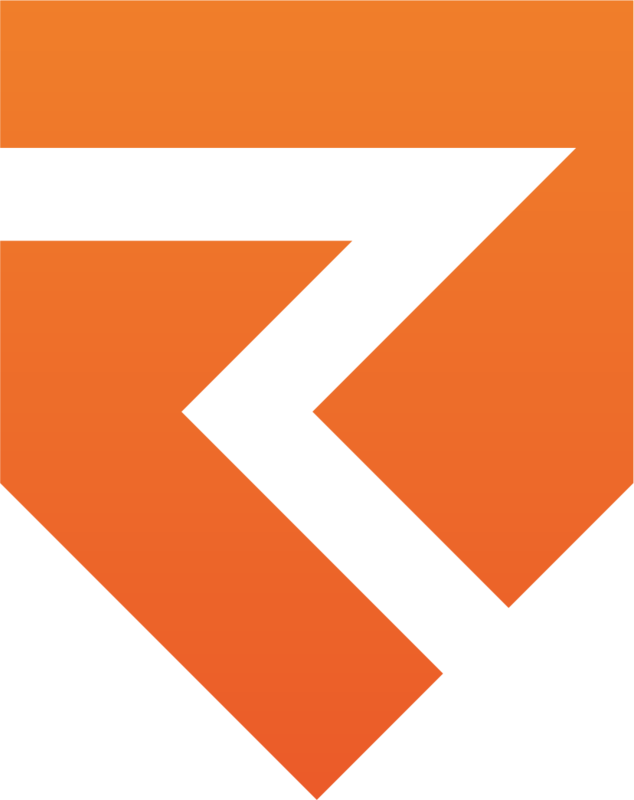 The mission of Juncos Racing is to develop young drivers from around the world into the next level of their racing careers through the Juncos Racing Driver Development Program. Through this program, the team not only works with drivers on track to improve their skills behind the wheel, but also gives them the tools needed to understand the engineering and mechanics of the race car. Drivers who have participated in the program and have gone on to compete in the next level include Connor de Phillippi, Nicolas Dapero, Tatiana Calderon, Peter Dempsey, Conor Daly, Spencer Pigot, Will Owen, Victor Franzoni, Kyle Kaiser and Rinus VeeKay. INDIANAPOLIS, Ind. (Nov. 30, 2018) – Swedish Road to Indy driver Rasmus Lindh will travel to Homestead, Florida for the Road to Indy Open Test on December 3-4, reuniting with Pabst Racing. The test will mark Lindh’s second time testing a Pro Mazda car and the first time for the Wisconsin-based outfit. In September, Lindh got his first taste of Pro Mazda machinery at the Chris Griffis Memorial Test with Juncos Racing. The talented Swede finished in the top-three every session and topped the charts in the second session. 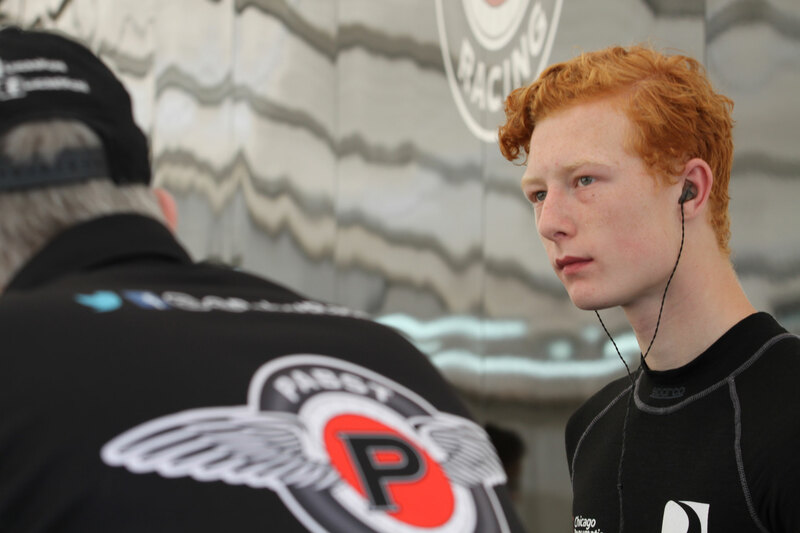 Lindh has his sights set on competing in the Pro Mazda Championship in 2019. The Road to Indy will utilize the 2.25-mile 11-turn road course at Homestead-Miami Speedway. Pro Mazda testing begins on Monday, December 3rd at 9:50 a.m. ET and will conclude on Tuesday, December 4th at 4:10 p.m.
INDIANAPOLIS, IN. 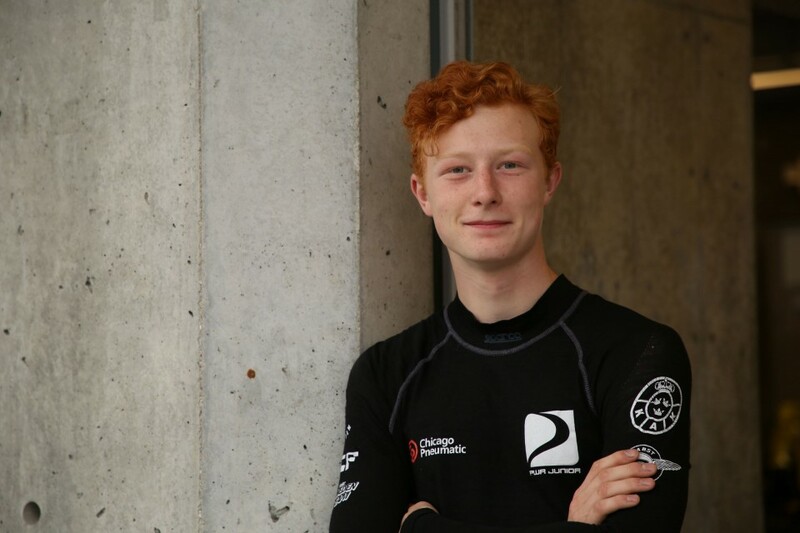 (September 25, 2018) – Three weeks after concluding his rookie Cooper Tires USF2000 Powered by Mazda season, Swedish phenom Rasmus Lindh has already sampled the next rung on the Road to Indy ladder. This past weekend, the 17-year old tested a Pro Mazda car for Juncos Racing at the Chris Griffis Open Test at the famed Indianapolis Motor Speedway.